For many, Monday morning is best experienced when it comes and goes quietly and uneventfully. Generally speaking, it’s the beginning of the work week and the start to daylong meetings, planning and travel. 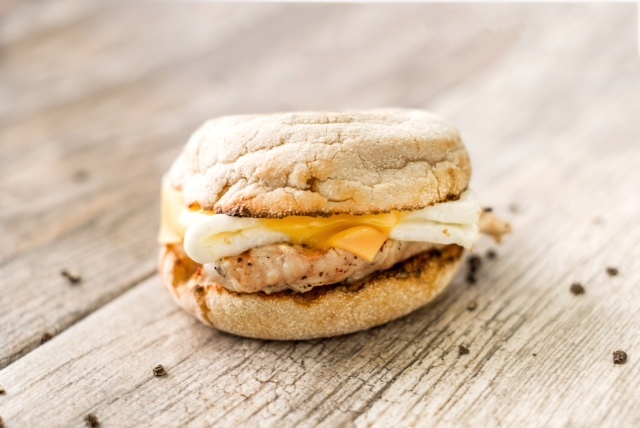 So when Chick-fil-A launched its new grilled, breakfast sandwich the Egg White Grill® on Monday, it came as a protein-packed egg-and-chicken solution to some, but was paired with not so good news for others. “We hate disappointing our customers and we know it’s hard to make any change,” says David Farmer, vice president of menu strategy and development. Farmer is talking about the company’s most recent decision to allow the Spicy Chicken Biscuit to come off menus across the country. As is the culture today, disappointed customers started reacting through social media. It wasn’t long before mainstream media collected enough comments to craft a headline. “The Spicy Chicken Biscuit represented one half of one percent of breakfast sales,” shares Farmer. Despite poor sales, the change was not taken lightly. Even when faced with low sales figures, it’s a difficult decision and a balancing act to give customers both what they want and what they expect. In an effort to offer both the classics, and a healthier option, Chick-fil-A rolled out the new Egg White Grill nationwide while continuing to offer customer favorites like the original Chick-fil-A Chicken Biscuit® and Chick-n-Minis™. Knowing change is never easy, Farmer says the new grilled breakfast sandwich was tested in select markets across the country, including the busiest restaurants in Manhattan. “We hope when customers try it they’ll love it,” he says. While most restaurants no longer serve the Spicy Chicken Biscuit (it’s still available in 44 markets nationwide as of 2019), Chick-fil-A offers a Spicy Southwest Salad on the lunch and dinner menus for customers asking for a salad with more heat. And of course, the Spicy Chicken Sandwich is still available for lunch and dinner. Chick-fil-A is always looking for ways to enhance its food, and not just the main dish, but the condiments too. That goes for the ingredients (the company recently removed all high fructose corn syrup and artificial coloring from its sauces and dressings) and the flavor. So when Chick-fil-A announced the nationwide rollout of a new Sweet & Spicy Sriracha sauce and three improved flavors – including the Smokehouse BBQ – some on social media wanted to know why. As Farmer explains, the sauces were developed to “meet changing customer preferences and flavor trends,” adding that bolder flavors have become a consumer trend over the past few years. “We know customers are really passionate about our sauces, and changing them can be hard. My hope is that our customers think they are a delicious addition to our menu,” Farmer says. Looking to the future, Farmer says customers are at the heart of every menu decision, and as their tastes and preferences change, Chick-fil-A tries to accommodate that in the menu. “We don’t want people to think we’re moving away from the classics, because we are not,” he says.